Scarlet Pink is for the bold, the trailblazer. . . for the adventurer who is a Free Spirit, a Wanderer, a Soul Seeker, a Music Maker and a Believer in Dreams! Scarlet Pink believes the sky is the limit! 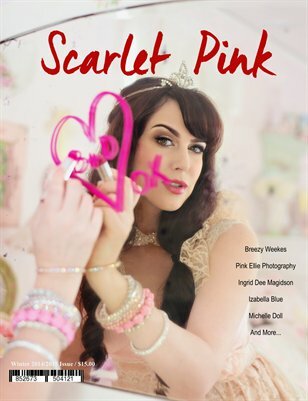 Scarlet Pink believes in the Love and the Magic you make, the dreams you keep, the stars you catch, the sparkle in your eyes, the passion in your heart and the possibilities of your imagination! Scarlet Pink believes in You!